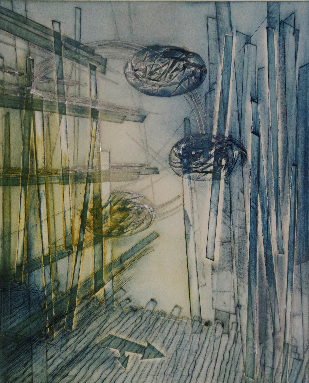 The Studios and the Eye, Collagraph, 2015, 11"x13"
"My series of monoprints, collagraphs and lithographs reflect symbols of freedom. 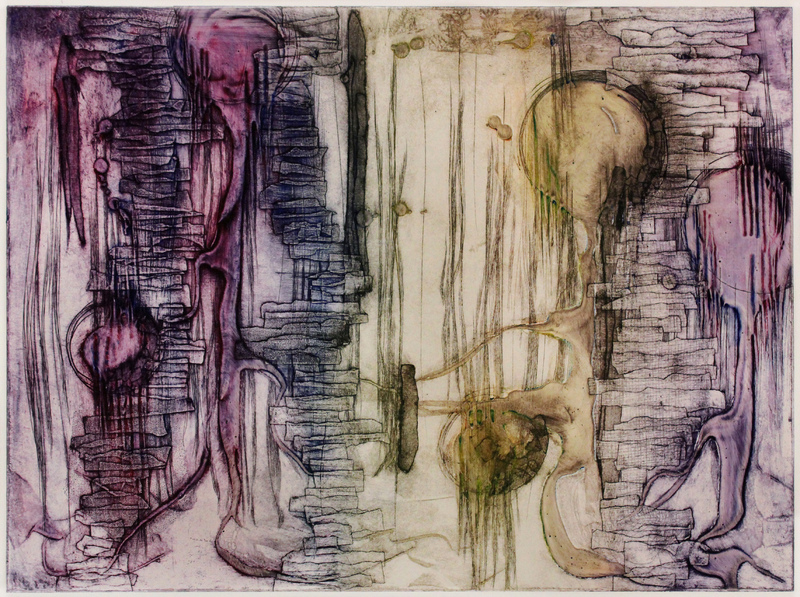 ​​It is a paradox: the more rigorous the technique, the freer my art becomes. 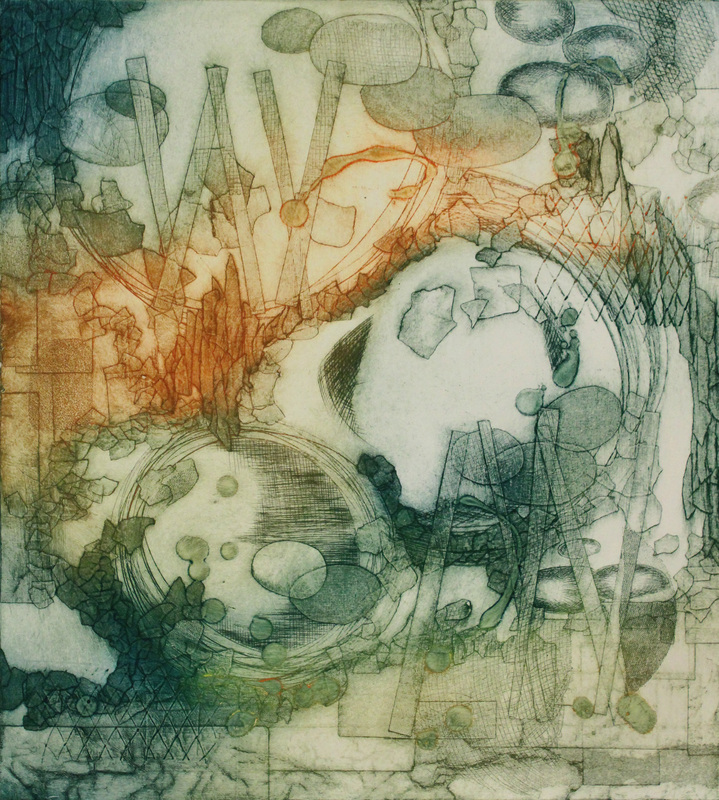 I enjoy every minute I am in the print shop; it is so refreshing: the burst of colors, the generous shapes..."
The technique used for this work is called the collagraph. 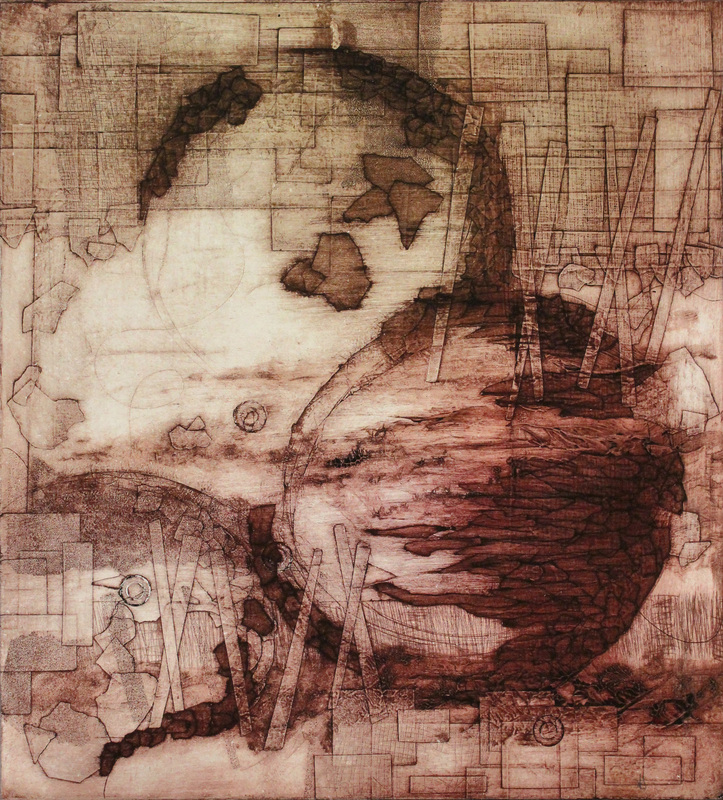 This technique consists of a collage printmaking technique and is a form of Intaglio printing. 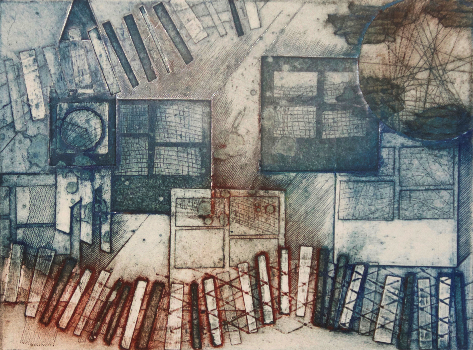 The collagraph plate is printed in the same way as etchings, but also includes the basic principle of relief printing and can be printed either as intaglio or relief. 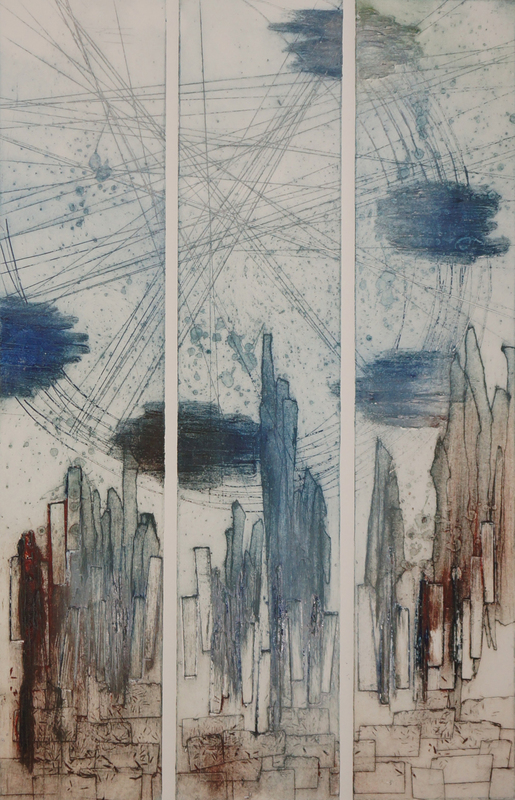 ﻿The Little Prince: The Journey, Collagraph, Ed 1/2, 26" x 25"
﻿The Little Prince: The Links 2, Collagraph, Ed 1/2, 27.5"x19.75"
New Town, Collagraph, 2016, Ed 1/2, 30.5"x23﻿"
Jubilee Park, Collagraph, 2015, Ed 1/1, 30"x22"